Former police commissioner-general Augustine Chihuri has been sucked in a number of controversies ever since he was retired from the Zimbabwe Republic Police (ZRP) in December last year. Unlike his predecessors who retired quietly, Chihuri is being hounded left, right and centre since the dawn of a new era, under President Emmerson Mnangagwa. Instead of taking a deserved rest and probably writing his memoirs, he has a lot to answer for. His ex-subordinates claimed in Parliament recently that they were failing to locate him to enable him to appear before the portfolio committee on Mines and Energy which is investigating the looting of diamonds in Marange. An impression has therefore been created that Chihuri could be in hiding amid reports that he may be holed up at his in-laws' residence in Malawi, and may not be feeling well. His mistress, Sithulisiwe Mthimkulu, who works as a police officer, is demanding from him a lump sum payment in the region of $240 000 for the upkeep of their child in Grade Four. 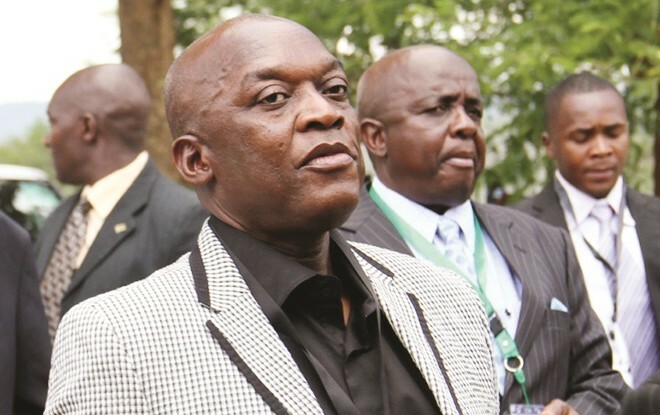 To avoid a default judgment being issued against him, Chihuri's lawyers managed to negotiate a private court hearing and both parties were supposed to report to court the outcome of their out-of-court settlement on May 14. Along with his wife, Isabel, Chihuri is also facing arrest after businessman Bigboy Pachirera reported them to Malborough Police Station, accusing them of theft and abuse of office, alleging they impounded five of his cars and fraudulently changed their ownership. In Parliament, legislators are anxious to get answers from him regarding the police's involvement in the mining of diamonds in Marange. It is being alleged that the police, acting on his instructions, seized gems belonging to a private company, and these were not accounted for. Chihuri's former lieutenants are also professing ignorance as to the existence of a company in which the ZRP had a beneficial interest. And this week, two police officers facing theft charges sensationally claimed in court papers that Chihuri looted substantial amounts of money while still serving as the top cop. Chihuri must know better that the long arm of the law will eventually catch up with those who break the law. If he has nothing to hide, Chihuri must come forward and clear his name. At the same time, the ZRP must convince us that they are indeed leaving no stone unturned to smoke him out of his "hiding".